Towerworks Motorsport @ Cal City last Sunday. Side by Side event. 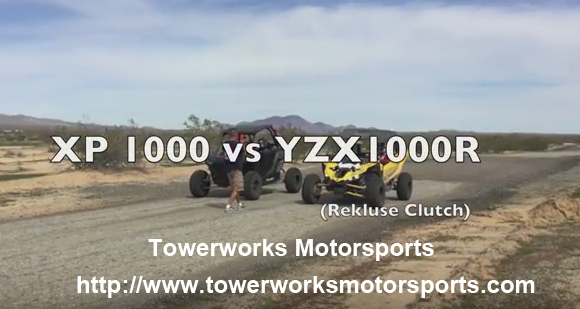 Yamaha XP1000 vs YXZ1000R with Rekluse clutch. We had a great time! Standing start and 20 mph start.